​The Taylor family from Mauchline in South East Scotland have redder blood than most running through their veins. Three generations of the family, grandfather Jim, son Alistair and grandson Andrew, currently farm Hill Farm and neighbouring Lochhill Farm. The two locations have been tenanted by their ancestors since 1848 and 1911 respectively, and they currently take care of 90 dairy cows, 40 suckler cows and a flock of 20 pedigree Blue Faced Leicester sheep. Andrew also works part time as a consultant at the SRUC but still fits in milking both ends of most days. But it’s the fleet of tractors that are the real talking point for this farming family. 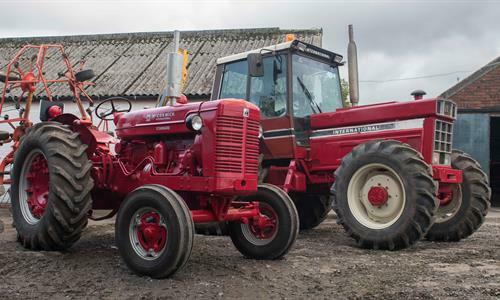 The Case IH fans currently have no less than 22 red machines on their farm, with 10 still in working operation and the other 12 being vintage models, many of which have been lovingly restored. The trio are a particular fan of the Doncaster-built machines which they believe just kept improving upon each new model produced. A particularly prized machine is their 1949 Farmall run on petrol paraffin, produced on the first production run; 105th off the line. Another is a 1939 W14, one of only 1100 ever built. 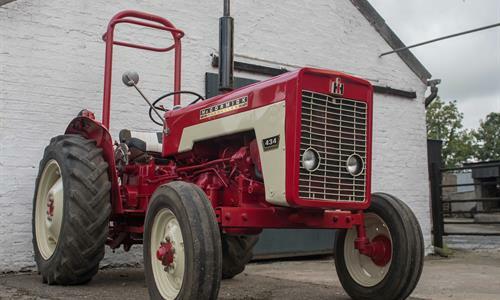 The family are also the owners of a Farmall H 1945 edition, with only one previous owner ever, which was recently loaned to the Scottish National Museum of Rural Life for an exhibition.